""My new friends have begun to suspect I haven't told them the full story of my life. "Cool. ""You should tell us about it sometime." 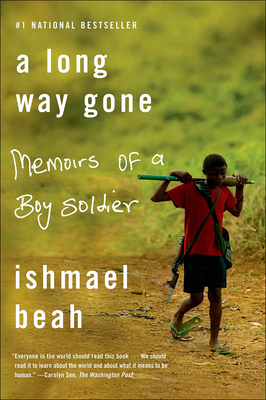 In "A Long Way Gone," Beah, now twenty-five years old, tells a riveting story: how at the age of twelve, he fled attacking rebels and wandered a land rendered unrecognizable by violence. By thirteen, he'd been picked up by the government army, and Beah, at heart a gentle boy, found that he was capable of truly terrible acts. This is a rare and mesmerizing account, told with real literary force and heartbreaking honesty.